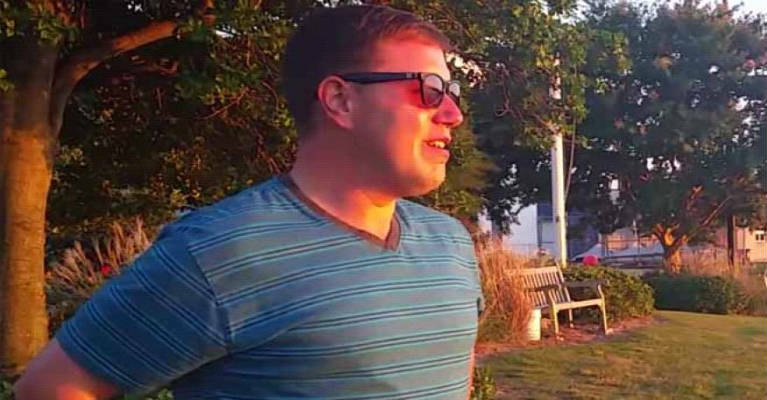 The touching video that features a colorblind man who has the opportunity to see the sunset in all colors for the first time in his life thanks to specially designed glasses has gone viral. Aaron Williams-Mele couldn’t wait to upload this video to his YouTube channel and explained that these Enchroma Color for the Colorblind glasses were a present from his parents for his birthday. He asked his friend to film him using them for the first time at the beautiful Whitehurst beach in Virginia. Aaron burst into tears right after he placed these special glasses on his face because he was finally able to see how the sunset looks like. He said that he was often thinking about how the sunset looks like, but this was nothing like his imagination. We can see this colorblind man looking at the things around him like the trees, flowers and grass. He later wrote that this was a very intense emotional experience. The team behind Enchroma glasses says that they use special lenses that use specific mathematical formula in order to improve color vision.